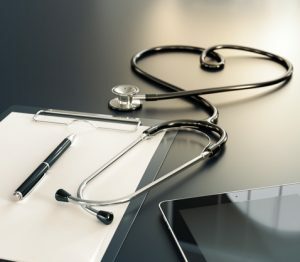 At Fast Chart, we understand that your medical practice requires highly accurate medical transcription solutions so that your patients can receive the very best care. Therefore, our medical transcription professionals are dedicated to providing medical facilities with the most dependable and accurate medical transcription services in the industry. With a 98.5% accuracy rate and turnaround times that consistently exceed client expectations, Fast Chart is a true standout among other medical transcription providers on the market. Read on to learn more about our process as well as several of the many advantages of working with us. With the wide selection of medical transcription companies available, it can be a challenge to find the right one for your medical practice. When you choose Fast Chart as your medical transcription solution, you will enjoy the peace of mind of knowing that we only hire health care veterans with an average of 15 years in the field of medical transcription. Unlike other companies you may come across, our team of medical transcriptionists, customer service representatives, account managers, and information services technicians is 100% based in the United States. This means that your facility can enjoy live support 24/7. When you opt for Fast Chart, you will also reap the benefits of our cloud-based documentation solution. Our sophisticated software can integrate seamlessly with any EMR or EHR to make complying with the Meaningful Use requirements as easy as possible. You won’t have to worry about any upfront investment in equipment or technology because we take care of it all. In addition, we are transparent with our customers through our verifiable and clearly specified billing methodologies. Our comprehensive transaction activity logs that include viewing, listening, editing, faxing, and printing promote HIPAA compliance. We also offer a document workflow that can be customized to meet the particular needs of any healthcare practice. To ensure optimal success, Fast Chart stands behind a simple, easy-to-understand medical transcription process. The process begins when a physician dials directly into a digital transcription system. Following the digital dictation of a medical chart, the transcription is thoroughly reviewed by our medical transcription professionals. Lastly, the dictation is returned to the medical practice through an internet file transfer (FTP), email, modem, or fax. Documents are returned in a timely fashion to expedite patient care. In most cases, medical dictation for admissions and transfers (STATs) will be returned to the facility within an hour. Fast Chart prides itself on our easy-to-use digital transcription system that can be implemented and learned by doctors in no time. Once the system has been set up, each doctor will use a basic dictation template and unique ID number to begin dictations. Many healthcare providers across the country have turned to Fast Chart for medical transcription services they can count on. When you decide to work with us, you will gain a business partner that always has your best interest in mind. To truly find out what makes Fast Chart one-of-a-kind, contact us today.